For connoisseurs of American gangster flicks, the connotations of that phrase are clear: A bribe is on offer. The authority figure in question only needs to name their fee. The same is true in Venezuela. But in Latin America's socialist paradise, bribes are solicited in a manner that is much more brazen. In a country where government services have degraded to such a profound degree, that the country's remaining civil servants work almost exclusively for bribes. The practice of bribing public officials has become so widespread, in fact, that a "menu" of going rates for everything from a Chilean visa to the stamps that validate diplomas. Though these bribes are typically solicited far from public view - they are illegal, after all - in the latest installment of its "Life in Caracas" series, Bloomberg published a list with the most current going rates for different services that has been circulating on Whatsapp. 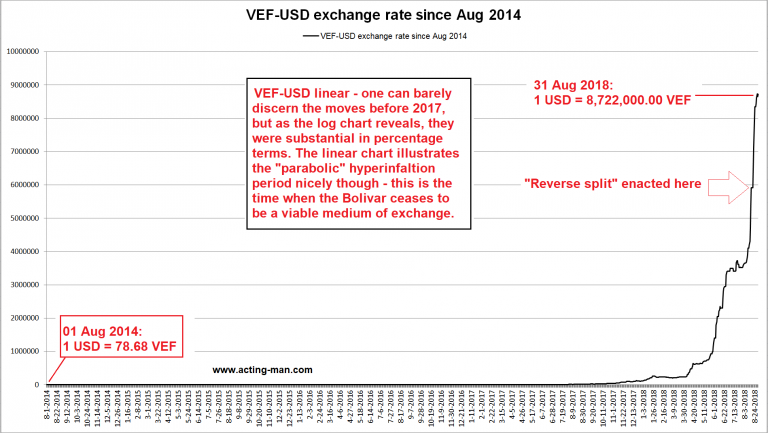 Since the Venezuelan bolivar is effectively worthless thanks to the country's unceasing currency crisis, most corrupt officials and police will only accept payment in dollars (exchange rates on the black market in Caracas were recently as high as 9,000,000 bolivars per dollar). Some of the going rates for the list above include: $4,500 for a passport, $400 for a Chilean visa, $7,000 to erase a criminal record. Typically, bribes are paid through an intermediary known as a "gestor" - a 'fixer'-type character. Cops at checkpoints still ask for "algo pa’l fresco" (that you spare something for a soda) to pass through without hassle, but many are no longer interested in measly bolivars; they demand U.S. dollars. Increasingly, bribing is a dollars-only business. Those civil servants were plunged into poverty by the economic collapse and have little interest in a local currency that has been destroyed by hyperinflation. And Venezuelans, especially those desperate to get their papers in order and flee the country, oblige. Still, most Venezuelans can't afford to pay bribes in dollars, particularly when the minimum wage in Venezuela amounts to a few dollars a month. And even foreigners aren't impervious: After one Bloomberg reporter lost their state ID, they soon discovered that every state office they visited was suffering from an array of tech difficulties. Either they were out of materials, the computer was broken, or the office was mobbed by a ridiculously lengthy line. Frustrated by the endless stream of excuses, the reporter eventually gave $150 to a fixer, who promptly took care of problem.